Top 10 DNA Tests - Is TeloYears A Scam? In order to fully understand telomere testing and the science behind the particular solution offered by TeloYears, we first have to determine what a telomere is and what function it has in our genome. A telomere is a region of repetitive nucleotide sequences at the end of a chromosome. 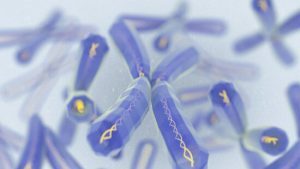 To put it more simply, it’s a section of genetic material that protects our chromosomes from the so-called chromosomal fraying during cell replication. In essence, telomeres have a protective function and experts usually compare them to plastic caps at the end of shoelaces that prevent them from unraveling. What Can We Learn From Our Telomeres? When our chromosomes replicate, the enzymes that duplicate our DNA are unable to perform their duplication all the way to the end of a chromosome, so each end is somewhat shortened in the process. Telomeres serve as disposable buffers during cell replication and they get shortened with every cell division. Their protective role essentially consists of being shortened instead of genes at the end of our chromosomes. Their secondary role is to prevent chromosomes from mixing. Telomeres are protected by the RNA encoded by the telemetric DNA and by a complex of shelterin (telosome) proteins. Bottom line, telomeres get shorter with every cell division. Scientists are completely honest when it comes to what we currently know about telomeres. Shorter telomeres are associated with shorter lives. Their shortening has also been linked to cancer and higher death risk, so numerous scientists compare them to bomb fuses. Modern science, on the other hand, still cannot determine whether short telomeres are just a sign of aging or they actually cause it. However, when it comes to the TeloYears test, this fact is pretty irrelevant. The main purpose of the test is to determine your genetic age based on the length of your telomeres and “translate” that number into human years. Once this correlation has been established, you can see how your lifestyle and day-to-day habits affect your aging process (positively or negatively). TeloYears also recommends taking follow-up tests to monitor the length of your telomeres in the future and obtain a better insight into your aging process. 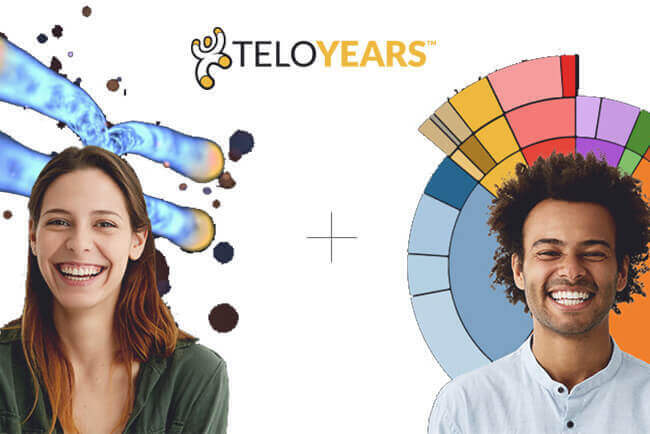 Telomere science does seem like something straight out of science fiction, but the TeloYears test offers a pretty down-to-earth set of relevant information without resorting to cheap marketing tricks and stories of prolonged life and even immortality. In other words, the company offers a basic exploration of your telomeres complemented by professional and personalized recommendations aimed at improving your overall lifestyle and keeping your genetic aging process in perfect balance with the biological one. This is something that modern science absolutely can do, as documented by numerous studies and research projects, so TeloYears is definitely not a scam. Anybody who claims otherwise doesn’t only dispute the legitimacy of a single company but a whole scientific branch that has yet to surprise and amaze us in the future.